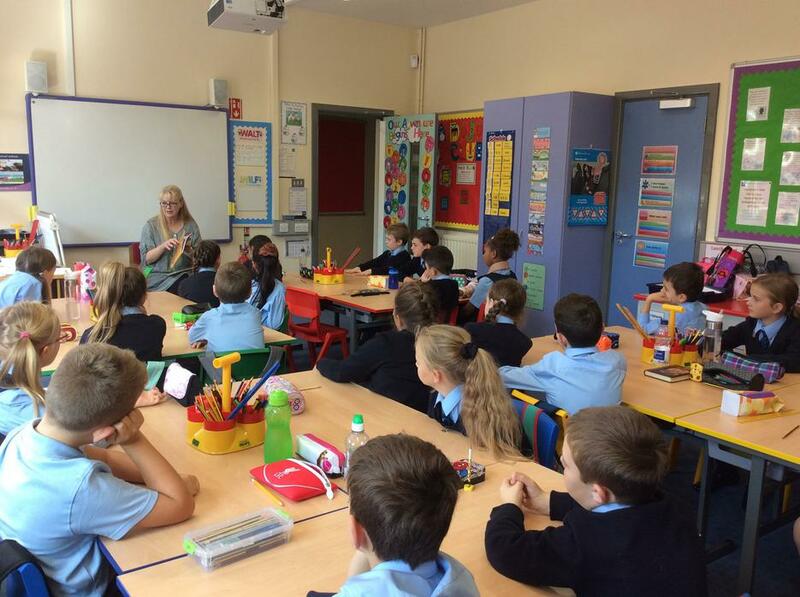 To celebrate Roald Dahl Day, we had a visitor from Newry Library come to our class for storytelling. 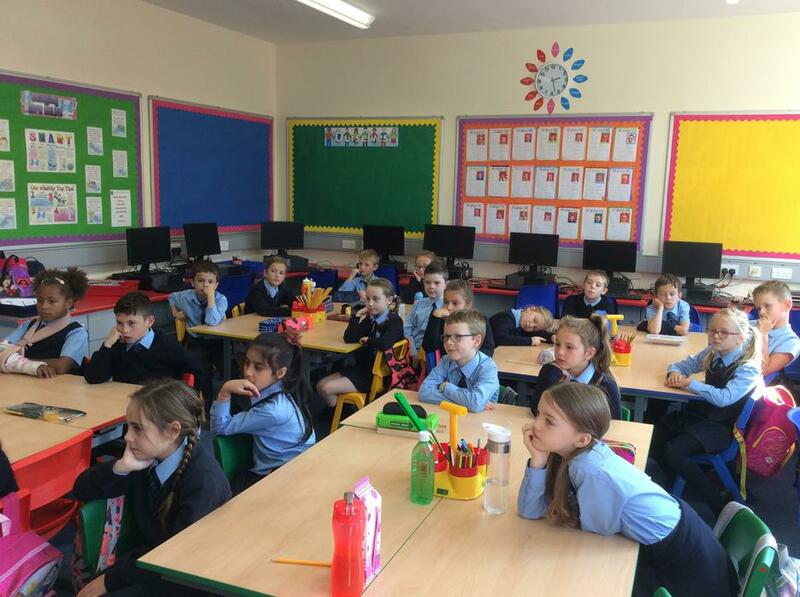 Lilian shared two of Roald Dahl's Revolting Rhymes with us, including 'Little Red Riding Hood and the Wolf' and 'The Three Little Pigs'. 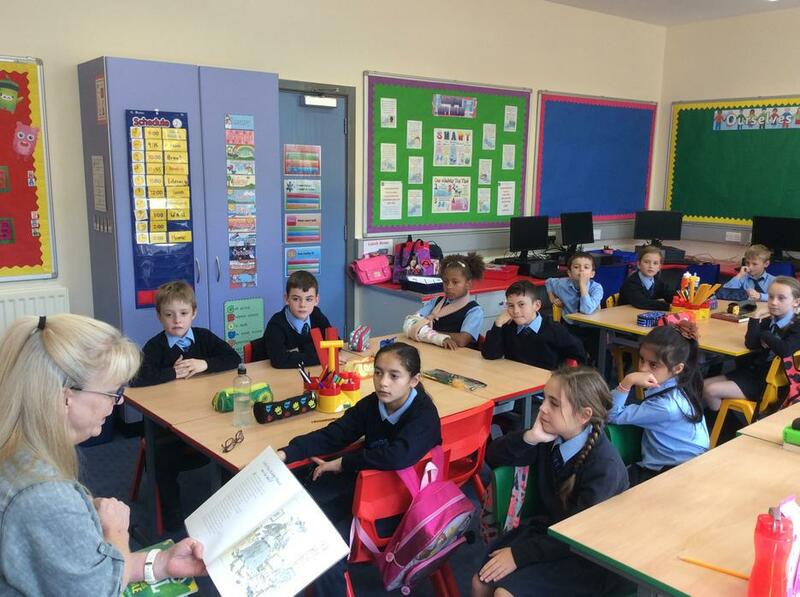 She then read the story 'The Enormous Crocodile', the first of Roald Dahl's books to be illustrated by Quentin Blake!